I've had this idea in my head for awhile, and it worked itself out in this card. I used many sizes of dots from Circles Circles Circles, but I turned them upside down on my block to give me solid circles. I stamped them repeatedly in red ink on a pink base. For the main panel, I trimmed the edges with the stitched edge from Stitched Borders die trio, then stamped one set of lines from Basic Backgrounds and Borders in gray on an angle. 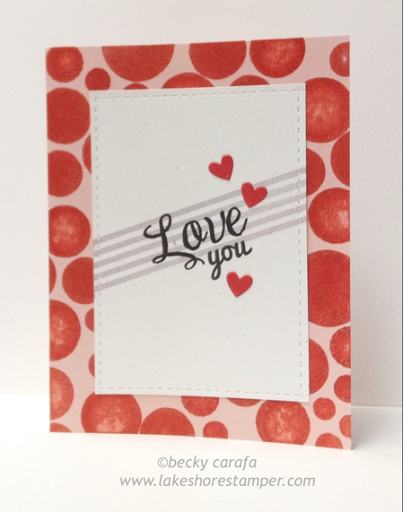 I stamped the sentiment on top (Thanks a Million and Happy Everything), and added some hearts from the Say What speech bubble die set. 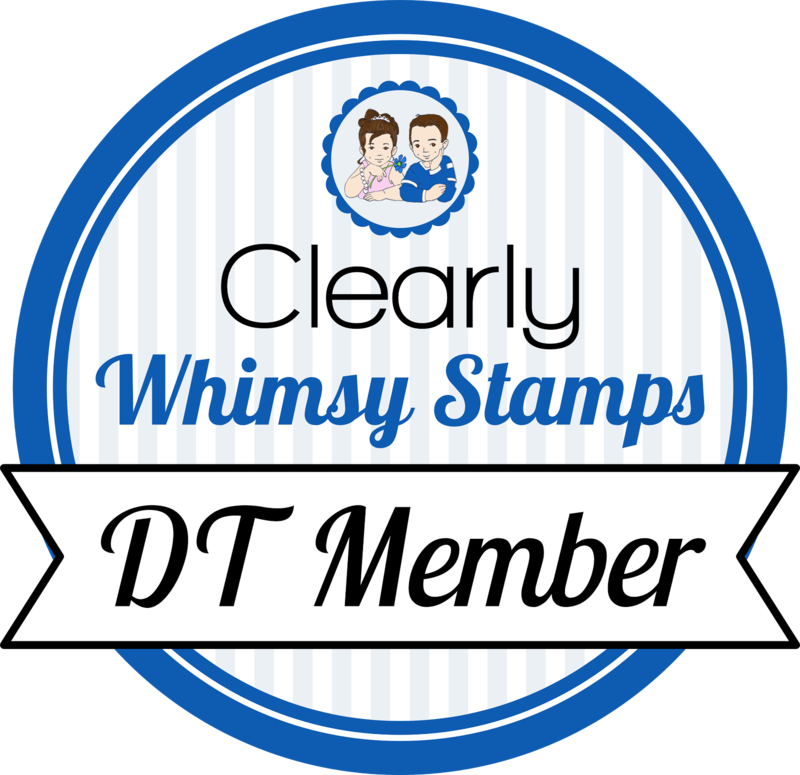 All products are by Clearly Whimsy Stamps.